Pregnancy Exercise Classes - Classes for Every Trimester! Book Your Pregnancy Exercise Class Today! Our pregnancy exercise classes have been specifically designed to provide you with effective exercises that are safe for you and baby during this first trimester! You need pregnancy workouts that only include safe pregnancy exercises to build the required strength, stability, and overall fitness you need to make the most of this stage of pregnancy. Our workouts take into account your growing belly and are designed to give you the required confidence to physically prepare your body for childbirth and beyond! Your Health & Wellbeing when Pregnant Matters! One of the most enjoyable aspects about being a Prenatal Exercise Specialist is that I also get to share in your excitement and happiness at this special time in your life when you have recently found out that you are pregnant. But I also know full-well that you will be experiencing mixed emotions as you may still be keeping your pregnancy quiet until a later date. At the same time, you are ready to participate in a pregnancy exercise class. My name is Kerryn Boyle and over the past 10 years I have worked with thousands of women to help them improve their health and well-being. 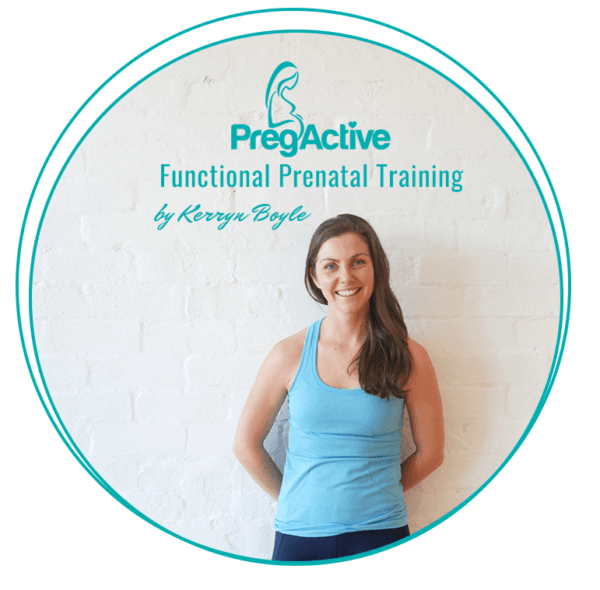 I have created my pregnancy exercise workouts specifically for your first trimester of pregnancy to help strengthen your pelvic floor, get fit and strong and physically prepare for labour. Pregnancy Exercise Classes to Help You Prepare NOW for Labour & Beyond! Participate in new pregnancy exercises every week. Discover the best pregnancy exercises to stay fit + strong. I will show you how to physically prepare NOW for childbirth & beyond. Our workouts will help you to recover more quickly after birth. Learn the correct technique to strengthen pelvic floor muscles. 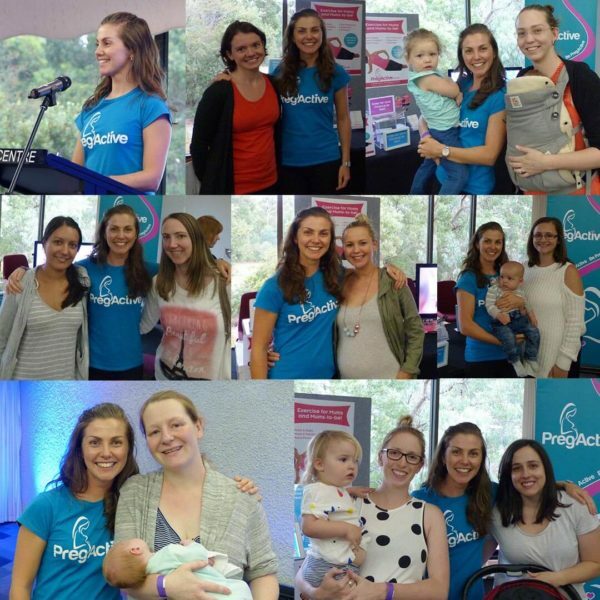 Get the support you deserve from our PregActive community. Our classes will help you to maintain a healthy pregnancy weight. Stay fit & healthy so you feel great during pregnancy. Get strategies that are easy-to-follow & deliver results. Improve strength & endurance to boost your energy levels.